WASHINGTON (Army News Service) -- In January, a new commander in chief of the U.S. military will move into the White House. 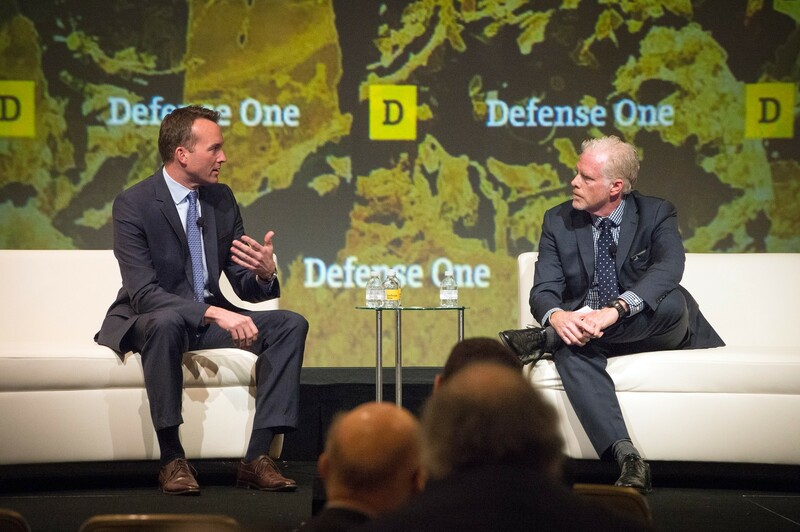 Over the next 60 days or so of that transition period, Secretary of the Army Eric Fanning's priority will be the 1.1 million Soldiers of the Army, among them the 100,000 who are currently deployed or forward-stationed outside the United States in some 150 countries. As the Army transitions from one administration to another, "there can be no gaps, there can be no seams" in providing those Soldiers with the resources they need to do their jobs, Secretary Fanning said. 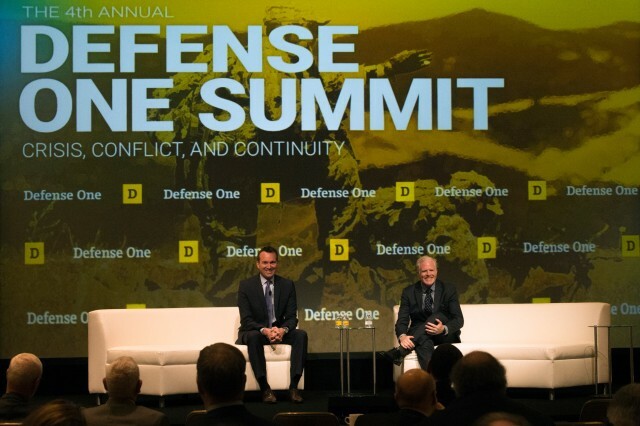 "That's the first and only priority, and we are completely dedicated to that," Fanning told his audience during a discussion Thursday at a forum sponsored by "Defense One" in Washington, D.C.
Over the course of his government career, Fanning has worked through two presidential transitions. "As is the case in every transition, the main message is, 'We are here, and we will do whatever is necessary to make this [transition] as smooth as possible,'" he said. Fanning has already formulated several ideas about how he will advise the transition team for the new administration on the matter of ensuring the Army's continued success into the future. Chief among his concerns, he said, is "further defining what the Army of the future needs to win." Since 9/11, the Army has focused on the near-term, the day-to-day operations that it has been called upon to conduct around the world, Fanning said. Over the past 15 years, the Army has served as the vanguard of the U.S. military's commitments in Iraq and Afghanistan. As a result, the Army has "stripped a lot of investment out of the future," Fanning said. He also plans to discuss restructuring " the Army for the way innovation exists today and technology is fielded today." Since taking office in May, Fanning has focused his efforts on Army modernization and acquisition reform. He believes the Army must be more agile and prepared to do business with all sectors of industry -- including its own organic industrial base -- and more willing to consider commercial off-the-shelf technology as a way of quickly providing Soldiers with the best tools available. "I believe the faster you get things into the hands of Soldiers, the better," he said. "They figure out how to adjust, and use things differently, and give us feedback very quickly. Technology is being developed differently and in faster and faster cycles now." Secretary Fanning also hopes that his drive to change the conversation in the Army about behavioral health services, which he outlined among his priorities shortly after confirmation, will continue after his tenure. "The Army has done a lot to move behavioral health out into the field at the operational level, so it is there if it's needed," he said. "[But] we need to fundamentally shift the paradigm here." Right now, he said, many Soldiers consider behavioral health services just something that's available to them if they need it. "We need to shift the paradigm from 'if you need help' to 'of course you will need help,' and then bake that into our post-deployment transition programs," he said. "This should be an expectation, based on what we ask a Soldier to do day after day, deployment after deployment." Such a shift could remove the burden of having to reach out for help. In a culture that recognizes that most Soldiers will at some point need some level of behavioral health service, all Soldiers could access them without fear of stigma. Fanning also underscored the importance of the fundamental changes instated over the course of the Obama administration regarding both who is allowed to serve in the military and in what positions they can serve. The new policies and their implementation, Fanning said, build on "shared values of opportunity and inclusion." The changes will be hard for the next administration to roll back completely -- for a number of reasons. "The path to do this over decades, going back to the integration of the military, has never been purely linear," he said. "Society is changing very quickly. The Soldiers we accessed just in the active component -- 60,000 a year -- they come out of a different society than I grew up in." Ultimately, Fanning said, any move to reverse those changes may face greater challenges than the Army faced in its efforts to increase its inclusiveness. "Whether or not you are going to let somebody wear a uniform ... is a very different discussion than whether or not you are going to make somebody take the uniform off," he said.